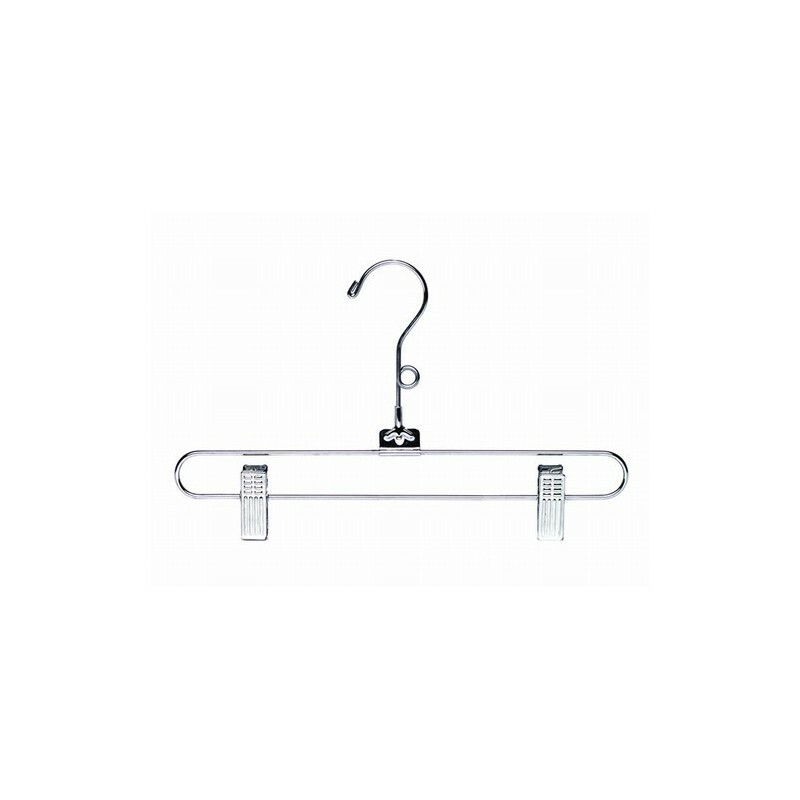 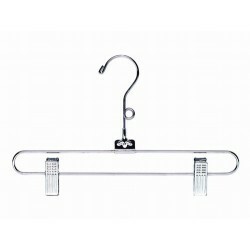 These strong, well-constructed metal hangers feature a space-saving body, polished chrome finish and polished chrome hook. This style hanger features a pair of polished chrome clips with anti-stain cushions perfect for pants, jeans, skirts and bathing suits. 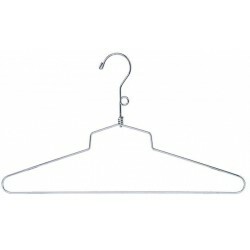 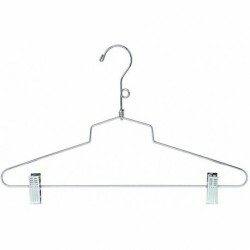 Sold in bundles of 25, half boxes of 50 or full boxes of 100 hangers.